The Kinks Are The Village Green Preservation Society is ranked as the best album by The Kinks. Related links: top tracks by The Kinkstop tracks of the 1960s, top tracks of 1968. Showing latest 5 ratings for this album. | Show all 863 ratings for this album. 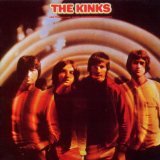 Huge Kinks fan here and IMO this is their best album. Also, my #1 of 1968, just edging out the Moodies' In Search of the Lost Chord. It's amazing that an album can have 15 tracks and all of them have something to say, either on their own or as part of the larger whole. Even most of the deep cuts are solid classics, especially Picture Book and Last of the Steam Powered Trains. The first time I heard this album I thought it was comically bad, a joke of an album. A few more listens on I realize it's OK, not good, just OK. It needs a "Waterloo Sunset", some song that stands out, that would make this a highly rated album, but It hasn't, and the album in general suffers from It. Anyway, for the songs that are in the album, they are pretty good, consistantly good, and that makes this an above average album. Decent album. I mean it's as good as a bunch of boys playing guitars can get. Definitely one of the best albums of the 1960s and maybe one of the best ever. Animal Farm, The Last of the Steam-Powered Trains, and Starstruck are my favorites, but they're all great!